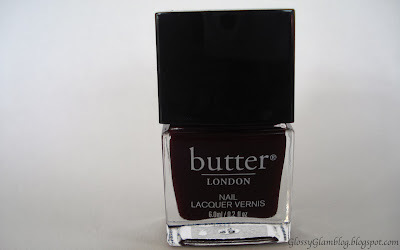 I received a sample sized bottle of Butter London nail polish in La Moss in a previous Ipsy bag. I was really excited to receive this since I've always wanted to try their polishes because I'd heard such great things about them. Of the color, Butter London says: A vampy deep, dark red nail lacquer full of red wine. I would say that their description of the color is accurate. In the above photo I used a clear base coat, 2 coats of the polish, and a clear top coat. If you look closely, it actually looks a little streaky (though admittedly, this is only noticeable in bright light). Also, this photo was taken the day after application and again if you look closely there is a bit of wear on the tips. I do not think this is due to the quality of my top coat. I use a decent Sally Hansen top coat which makes my OPI polishes last a good 5-7 days. 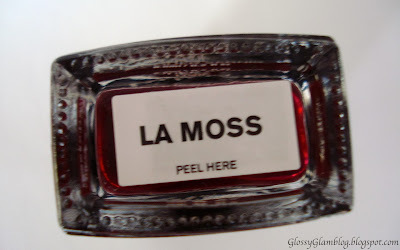 Since this was a sample size bottle the brush was VERY small so maybe the streaky-ness is from that. Perhaps next time I'll try it will 3 coats, though that seems a bit rediculous for a dark colored polish. I would def. 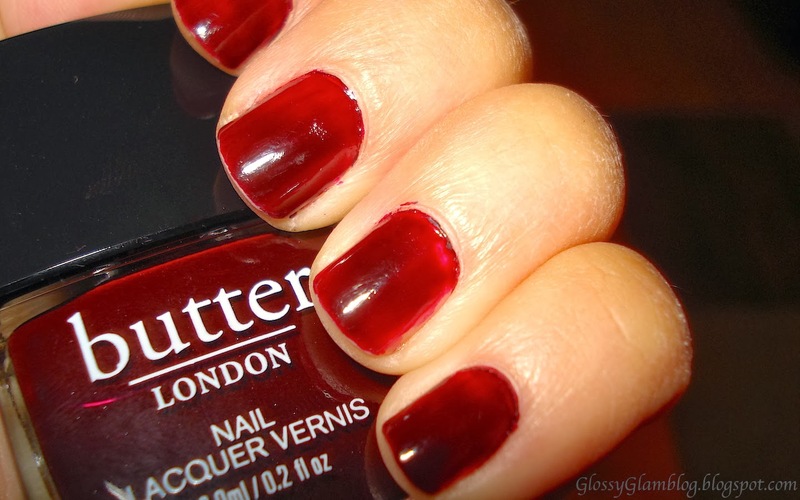 like to try one of these polishes in a full size bottle and a full size brush. Hopefully that will be better. 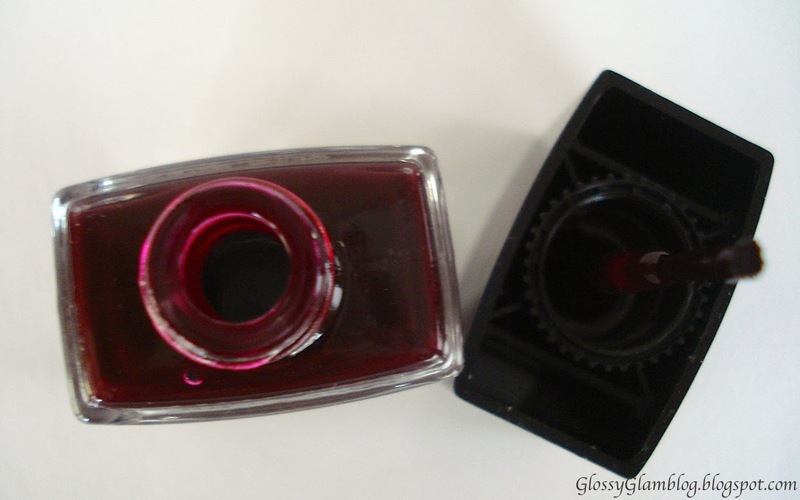 For this particular sample size bottle and color I give it a B.
I'd love to check it out. Leave me your links!